The Albanian theatrical title was "Zootropoli". 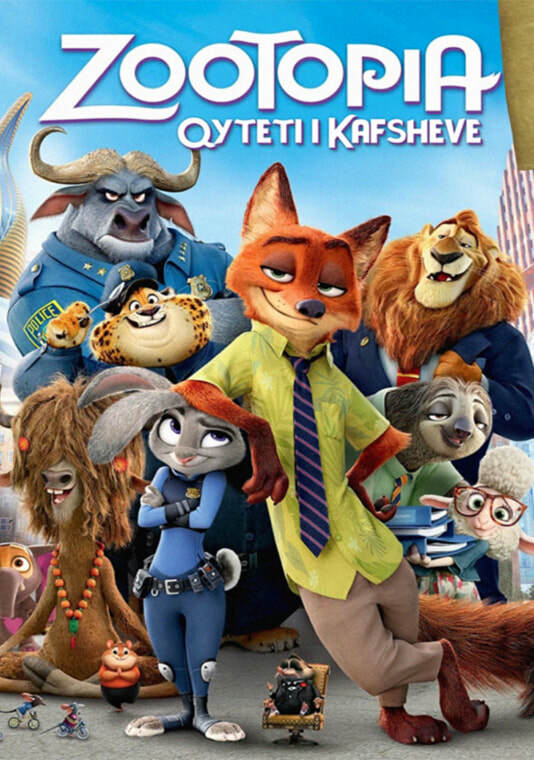 For the dubbed version it was changed into "Zootopia: Qyteti i kafshëve". Even though the original name of the city (Zootopia) was used, the European footage with the Zootropolis city signs was featured in the dub. Devis Muka (Clawhauser) improvised by adding cat-like sounds to the character, which were kept in the final result.